By now, you've read that Dell is going private. Click here for some of the details. This post is not meant to pick on Dell. It's meant to get us to think. Why do I want you to study Dell? Well, they did an awful lot of the things that the experts tell us to do - good decisions. They are social media leaders, heck, they're monitoring every word of text I'm writing as we speak - it's almost like the NSA! If you're best at social media, it should cause breakthrough sales gains, according to the experts. They are omnichannel leaders. They moved into retail, not their own branded stores, but you can go to Wal-Mart and get the goods. That's called "bricks 'n clicks" by the experts. We're told that retail plus e-commerce is unbeatable. They are promotional gurus - the carousel on the mobile site (remember, mobile or die) as of this writing (9/12) shows summer clearance, a $200 promo eGift card, and a coupon for smart shopping. Of course, that ignores merchandise, and what Dell sells is merchandise, but what the heck, it's the tickling of the buying bone that marketers love. We're told we have to do this, all day, every day, to "remain competitive". Ok, how did omnichannel + social pay off? In six years, the stock price is -25%, whereas the Dow Jones US Computer Hardware index is +88% and the S&P Information Technology index is +28% and the S&P 500 is +2% ... they published these facts themselves in their own 10-K statement (click here). Maybe sales went bonkers, given the bricks 'n clicks approach and the omnichannel tactics and promotional strategy and social media wizardry? Net Sales, February 1, 2008 = $61.1 billion. Net Sales, February 1, 2013 = $62.1 billion. So, what happened? How could a combination of omnichannel excellence, social media power, and promotional tactics yield ... well ... this? Dell has tons of smart people, more than most companies. If they performed a Merchandise Forensics analysis, they'd quickly observe that existing products were tiring, while recent new products failed to generate the volume prior new products generated, leaving Dell with no choice but to try to maximize omnichannel + social + promoitons to compensate for merchandise challenges. This is a big theme, folks, one I see repeated everywhere - merchants struggle, marketers get yelled at, so marketers go bonkers on channels and ad dollars and promotional strategies. It's a time honored tradition. It's a sign of a ailing business model. On February 1, 2008, the iPhone was reasonably new, the Android operating system was in a stage of relative infancy compared to today, and the iPad was thirty months away from introduction. In other words, the merchandise world that Dell participated in changed. You, too, can see these things happening in your business. They begin to happen subtly, the metrics appear but net sales largely hold their own. It's pretty darn important to run a Merchandise Forensics analysis, to stay on top of key issues. 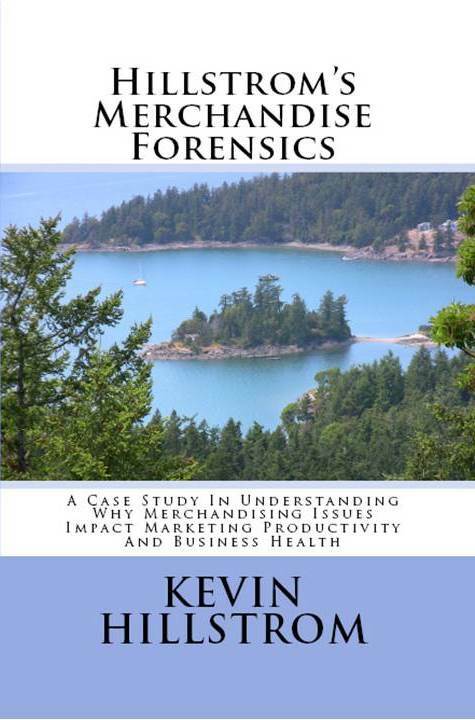 Hire Kevin for your own Merchandise Forensics project (click here for file layouts). 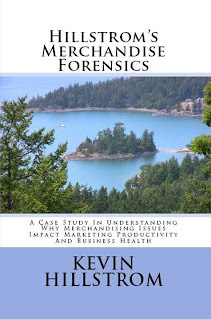 Buy a copy of Hillstrom's Merchandise Forensics on Amazon, $11.95 (click here). Buy a Kindle version of the book, $7.95 (click here).